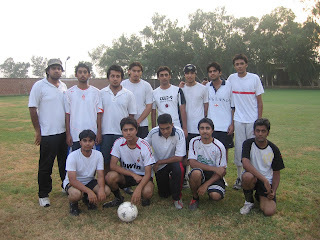 Lahore School of Economics Intra University Soccer Tournament was held from June 13 to 26, 2007 at lush green football ground, Main Campus. Final was played on June 26, 2007. Lahore School Blue won the Final from 2006 champions Nukes (3-1). Nukes vs Lahore School Maroon (Nukes 25-0) and Lahore School Black vs Lahore School Blue (Blue 15-0). Four Quarter Finals were played between Lahore School Yellow and Lahore School Purple (walkover), Lahore School Blue and Lahore School Green (Blue 7-2), Lahore School Red and Lahore School Brown (Red 3-2) and Nukes vs Lahore School Pink (Nukes 6-2). Lahore School Yellow and Lahore School Red played for third and fourth position. Yellow won the match (8-1) and stands at third position followed by Red. Final was played on June 26, 2007. Lahore School Blue won the Final from last time champions Nukes (3-1). 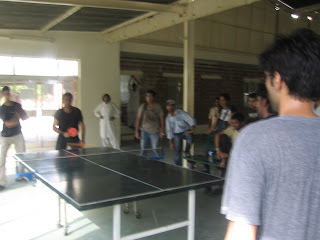 Table Tennis Singles Final match played on 17th June 2007. Table Tennis Doubles Final match played on June 13, 2007. Badminton Singles match was played on June 14, 2007. Final match was played on June 16, 2007. Final Chess match was played on June 17, 2007. Snooker Singles Final was played on June 16, 2007. Snooker Doubles Final was played on June 17, 2007. Muneer Kamal, the President and CEO of KASB Bank visited Lahore School of Economics on June 07, 2007 and gave a talk to the MBA students as a part of Lahore School Distinguished Professional Lecture Series. Hassan Shah, Ex Functional Head Pepsi International visited Lahore School of Economics on June 06, 2007 and delivered a lecture to the MBA Students as a part of Lahore School Distinguished Professional Lecture Series. Four undergraduate students from Lahore School of Economics are back from Bahcesehir University, Istanbul, Turkey after attending Spring Semester at Bahcesehir University under the Students Exchange Program - 2007 between both the Universities. Ali Hassan Piracha, Mehrukh Khan, Abbas Mahmud and Fahd Bhatti were sent on scholarship. 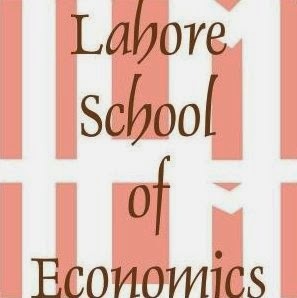 Lahore School of Economics and Bahcesehir University have agreed to establish long term cooperation in the areas of Faculty Exchange, Joint Research and Student Exchange. 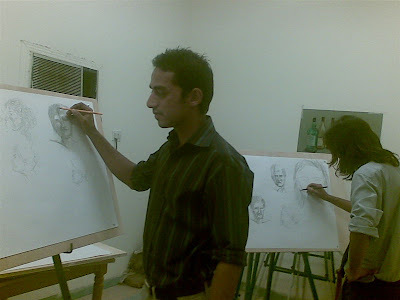 Lahore School of Economics (Extra Curricular Department) arranged a Drawing and Sketching Workshop on June 2, 2007 at its Burki Campus. The workshop was conducted by Zafar from College of Arts and Design, University of the Punjab.